Instagram is where a lot of us spend our time when it comes to social media. 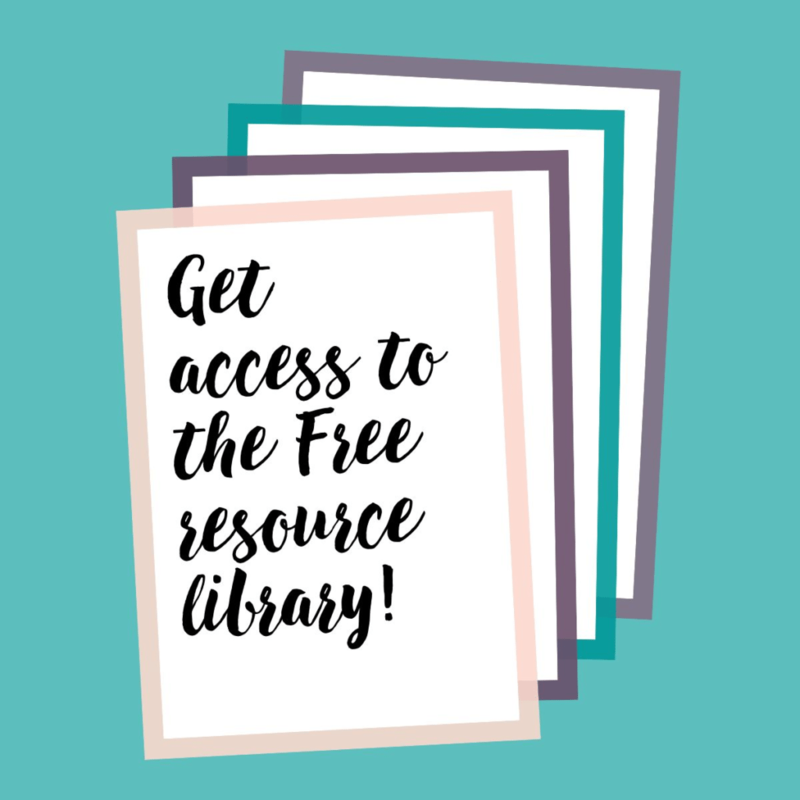 We love to scroll through the feed, watch the stories, and even post there to promote our businesses. But if you’re not a photographer it might feel intimidating to post photos that you don’t really love. You might scroll through your feed and close the app feeling like you’ll never live up to the IG aesthetic. 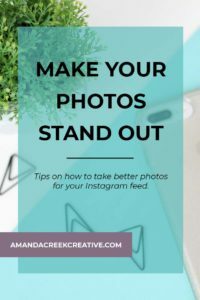 Today I’m going to give you a few tips on how to take better Instagram photos so your photos will stand out from the crowd. 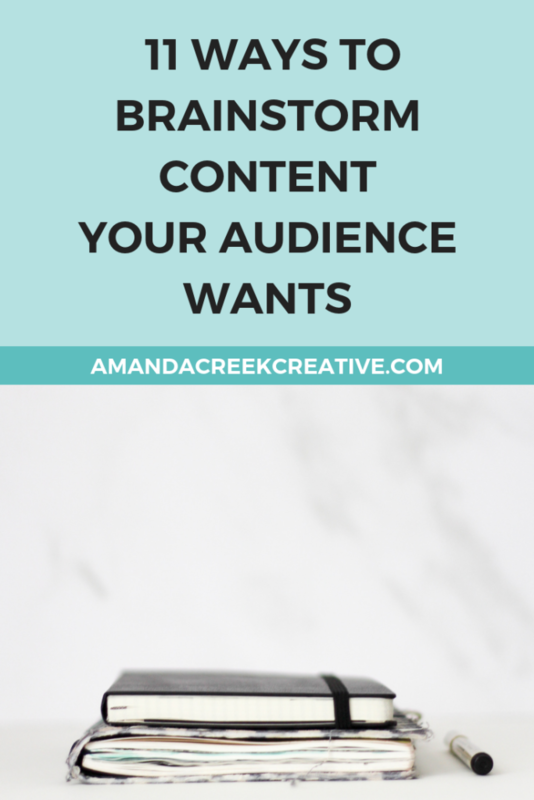 I really want you to gain the confidence you need to post consistently because it can make a huge difference to your Instagram growth. Tip #1- Master the camera that you have right now. You don’t need to update your camera to get good photos for online use. While it might be really tempting to go out and buy a fancy $2,000+ camera, it may actually prevent you from moving forward. 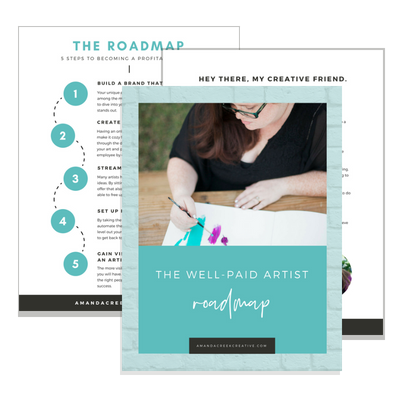 If you don’t have the funds, you’ll constantly be waiting to get started when you could be actually gaining traction right now on Instagram. If you do happen to have a professional or semi-pro camera, then get to know your camera as well as you can. Tip #2 – Learn the fundamentals of photography so you can understand your camera better. There are several different phrases that photographers might throw around that might leave you feeling like you need to learn a new language in order to understand what they’re even saying. I want to break down some of those terms for you and make it easier for you to understand and use your camera. Exposure– Exposure simply means how much light is in the photo. The light will go into the camera and hit digital sensors that will measure the light and will basically translate into what we see as a photo. If the main subject of your photograph has enough light, it will be well exposed. You can have a photo that is either overexposed (too much light) or underexposed (not enough light). By simply adjusting your camera settings you can add more light or take away light. This can help you to properly expose your photographs. You can also adjust the exposure when you’re editing. So don’t worry if you don’t get it exactly correct in your camera. You want to get it close but it doesn’t need to be perfect. If your photo does end up being too dark, you can simply take another photo in better light or you can use Photoshop or Lightroom after the fact. Depth of Field– Your photos can have a small depth of field or a large depth of field. What this means is that you can control whether or not your photo has a blurry background. More professional looking photos actually use a shallow depth of field that isolates the main subject so you know what the star of the photograph is. 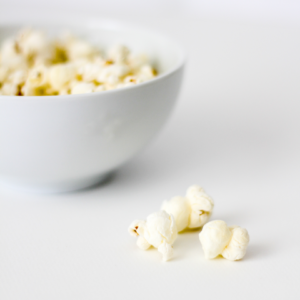 The above photo has a shallow or narrow depth of field and is focused on the popcorn kernels in the front. The bowl in the background is blurry because it’s not the same distance from the camera as the kernels in the front. 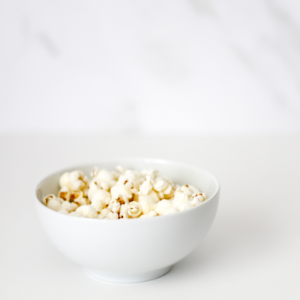 The second photo has a larger depth of field, where you can see most of the bowl and the popcorn kernels too but the background is still blurry. If I changed my aperture to a larger depth of field, then I could have made the entire picture crystal clear. But I love the background to be blurry in the majority of my pictures. Aperture– This word is used to explain how large or small the opening of your lens is when you take a specific photo. You can control the aperture of semi-professional and professional cameras that allow you to change your settings. Typically you can use Aperture Priority mode or you can also use manual mode. I like to tell my clients to try out and get used to Aperture Priority so they can begin to understand how this all works before moving onto manual mode. By using a lower number like 2.8, you will actually have a larger opening for light to pass through your lens. This will give you more of a shallow depth of field. Shallow depth of field is what many photographers love to achieve. On the other hand, you can change the aperture to a larger number like 8.0, where you will have a larger depth of field. This is great when you want more things to be in focus and less blurriness. I love to use a larger depth of field when I’m taking photos of larger groups of people. This helps to make sure that everyone is in focus. The word aperture isn’t something that you will typically need to worry about with a smartphone. You can instead try controlling the depth of field by moving items or people further away from the background. By separating the item or person from the background, the lens in your phone camera will still give you a bit of that blurriness because the lens still has an aperture or opening (though this is not as easy to achieve as with a DSLR). 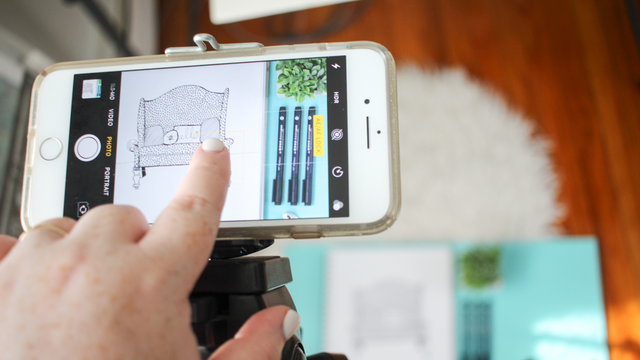 The camera on your phone just doesn’t have the manual controls that you typically have with a DSLR. If you have a newer iPhone, you can use Portrait mode to get an interesting depth of field that can mimic what you’re able to do with a DSLR. Shutter Speed– Not only is there an opening in your lens that lets light into your camera but you also have what is called a shutter that opens to expose the light onto a digital sensor. You can control the shutter speed with most digital cameras but not with smartphones (since they don’t have the buttons to adjust this). The length that the shutter speed is open determines how much light hits the sensor. This not only controls exposure but can also control motion. You can freeze things with a faster shutter speed, or you can use a slower shutter speed to show some motion in your photos. Hopefully learning a few of these words can help you as you move forward with learning to master the camera you have. Of course, a few of these words may not be applicable if you’re using a smartphone. But you can start understanding the concepts now if you hope to move on to a professional camera at some point. Tip #3 – Master your Brand Personality so that your photos feel like they go well together. I’m a huge fan of creating photos that have a similar style or feel when it comes to posting on Instagram. By mastering your Brand Personality, people will see your photos and understand right away that they belong to you. You can figure all this out by working on your Brand Personality and even by creating a Photo Prop Box. Branding is super important to convey the feeling you want people to have. 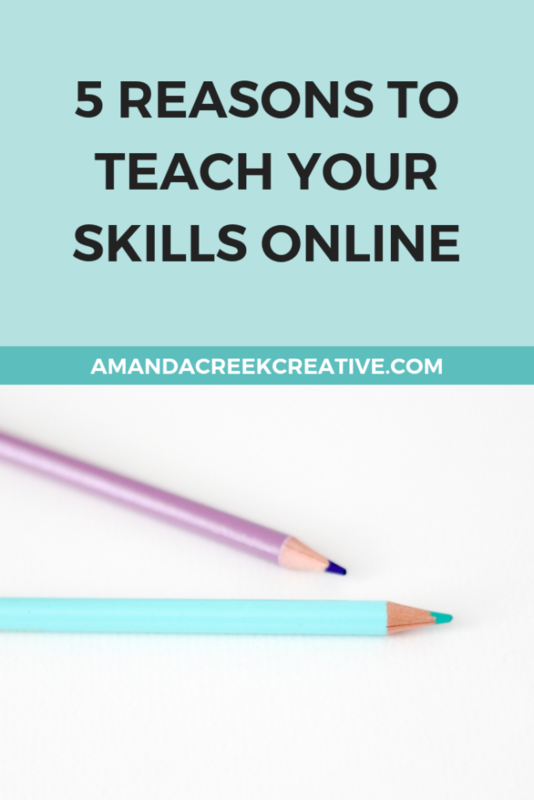 By taking some time to figure out things like consistent colors, props, and imagery, you are creating a Brand World that people will begin to recognize over and over again. Tip #4 – Master your storytelling. Storytelling doesn’t just apply to the written word. It applies to visuals, as well. By focusing in on your main subject matter, you can tell a story. You can also change the atmosphere or mood of a photo through how you take the photo or how you edit it too. By doing simple things like changing the exposure slightly, you can tell a different story. A darker photo can give a more somber feel. A lighter photograph can help people to feel warm and invited into your feed. You can learn even more about how to apply each of the above tips in my Skillshare class called Glam Your Instagram. 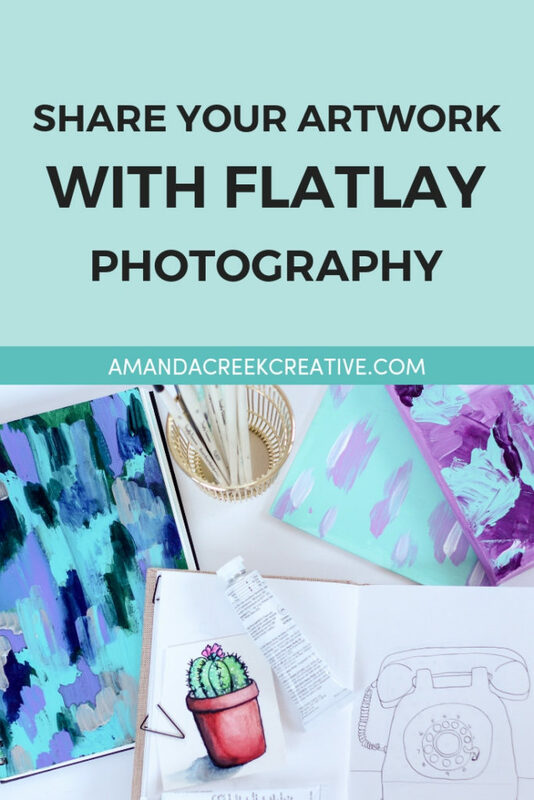 This is my most popular class on Skillshare and has close to 500 students already taking new photos and making their photos stand out on Instagram. 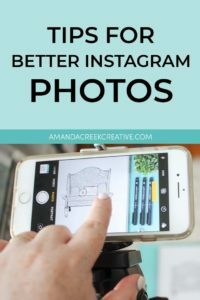 When it comes to Instagram photos, I believe that taking small steps every day can help you to improve so much over time. I suggest to just simply start learning and above all practice, practice, practice.